Today, during our staff meeting, we had an opportunity to share our appreciation for a dear sister, Laura Webster. It was Laura’s birthday….and a big one. An elder’s wife, she is a beautiful woman, inside and out. As her strong and burly husband, Clarence, shared about her with tears he recounted a story about a shoe box. As a young man, Clarence assumed he would try to make his life work by entering the military. His mother became disabled, and called him into her room one day. 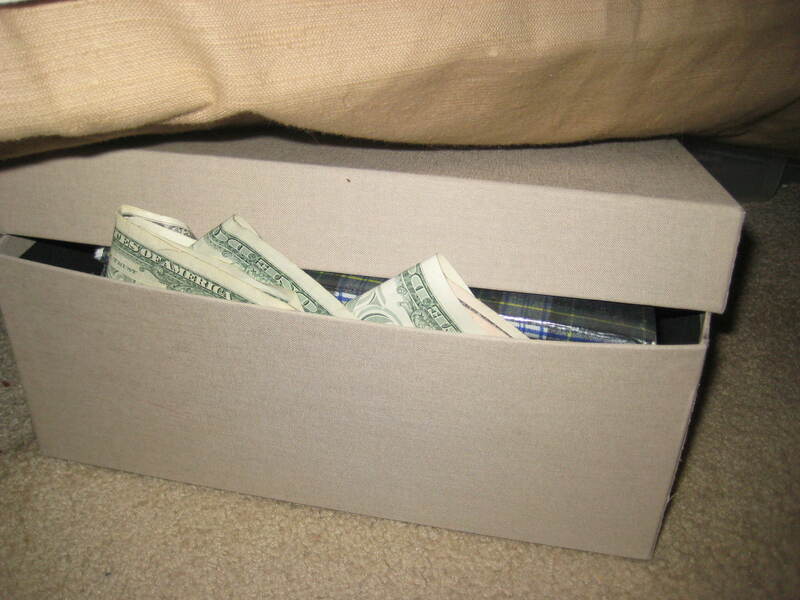 Under her bed was an old shoe box, which she pulled out to show her son. Upon opening the box, and seeing a sea of green, he was dumbfounded to discover that the box was full of hundred dollar bills. His mom had saved this money throughout her life, and presented it to Clarence. She implored him to use this to go to school. He did just that. It was at university that Clarence met his wife, who impacted him greatly, especially when she became a Christian after they were married. This led to his own decision to become a Christian. Clarence recently buried his mother, and even more recently his brother, both of whom had followed suit as they learned the Scriptures. His sons and daughters- in- law are wonderful Christian men and women as well, and his grandchildren are being raised by faithful, confident parents. So many lives in many places have been touched by this couple. For Clarence, it began with the shoe box. We may never know how an opportunity we afford someone can impact them and countless individuals for generations to come. Clarence’s mom did not have much money, but decided she would scrimp and save to give her son a chance to succeed. Similarly, I’m reminded of a woman in the Bible whom Jesus said would be told about everywhere the Gospel was preached. Some of those present were saying indignantly to one another, “Why this waste of perfume? It could have been sold for more than a year’s wages and the money given to the poor.” And they rebuked her harshly. Her sacrificial giving “what she could”, (though it was not a lot by human standards) had a tremendous impact on Jesus and on those who heard of her actions. Even today, years later, this woman inspires me to give what I can. And Clarence’s shoebox reminds me that what you and I may be able to give can have a ripple effect of good that may make an eternal difference in many lives – in ways that we may never even see.